Pumpkins...kids...pictures. They go together like milk and cookies! 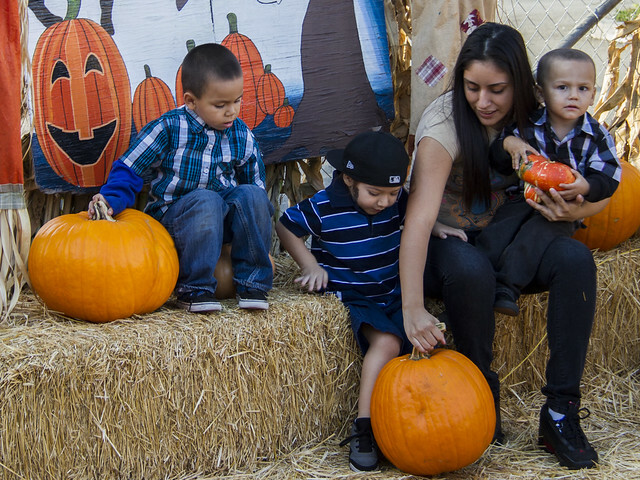 This pumpkin patch has strategically placed bales of hay in front of painted backdrops, perfect for the family photo of this important holiday tradition—picking out the perfect pumpkin (or more) for the Halloween jack-o-lantern. The pumpkin patch has expanded its offerings over the last few years. Now, there is a huge bounce house with slide. It's off to the side, but it must have been crowded, judging by the shrieks of laughter coming from it. 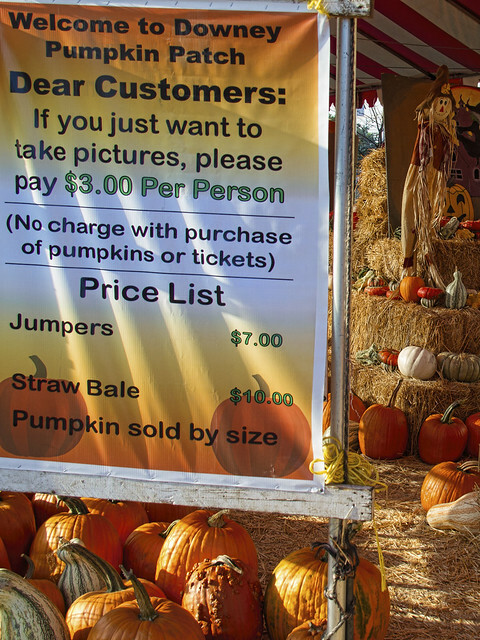 And of course, like any good business, the pumpkin patch is cashing in on the photo opportunities.